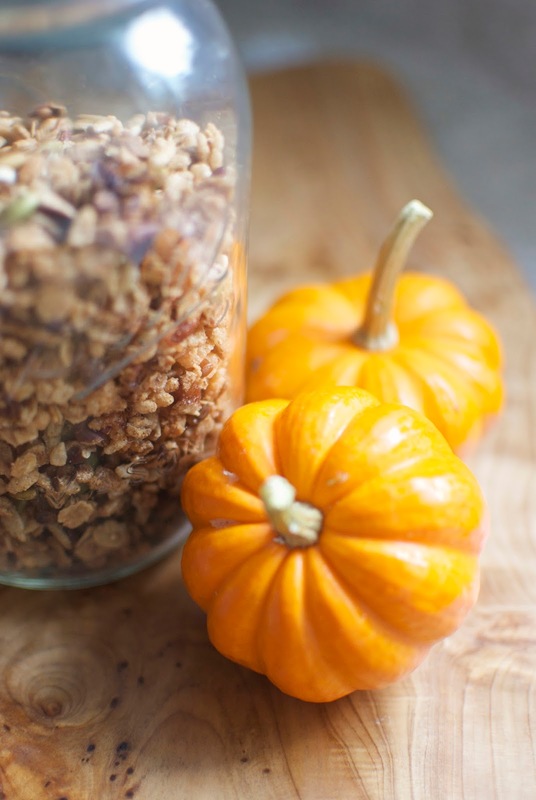 Three words for you: PUMPKIN PIE GRANOLA. 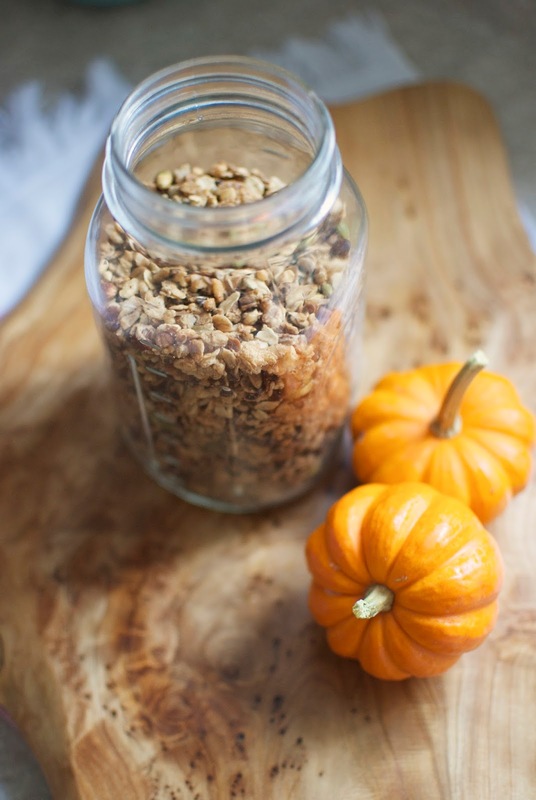 I know that the pumpkin flavoured things can get a little out of control, but this granola hits pumpkin spice anything out of the park and takes first place. Holy smokes! So far it's October 4th and I've made pumpkin muffins, pumpkin loaf, pumpkin granola, and pumpkin biscotti. Oh well, what can you do! Pumpkin season is only once a year. 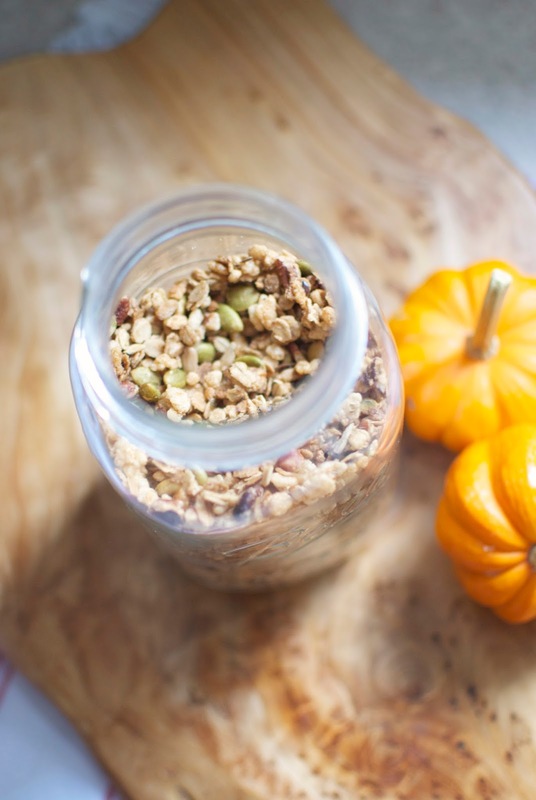 This granola, though. 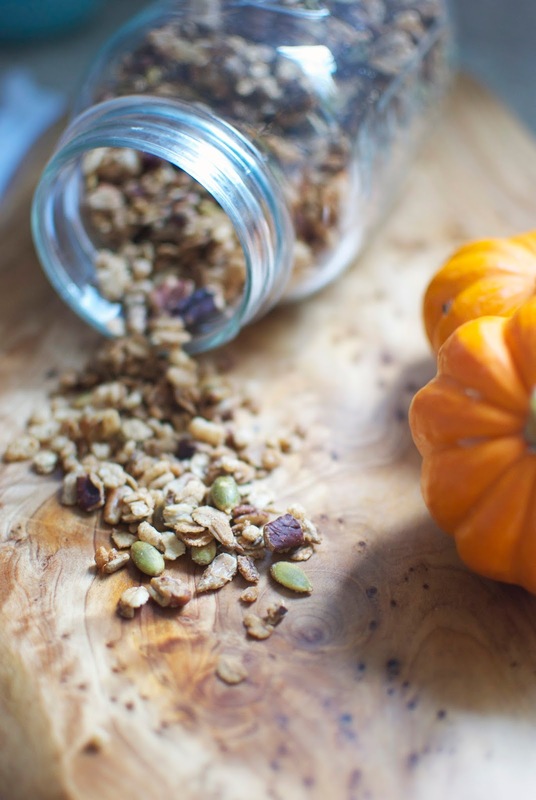 PUMPKIN PIE GRANOLA. What even! I didn't change a thing - I followed the Canadian Living recipe exactly, which isn't a usual practice of mine. Usually I try to put my own spin on it but it wasn't necessary because this granola is perfection. I don't think it could get any better. With a big bowl of vanilla yogurt and a warm cup of team. I already can't wait to have it again tomorrow morning! Check out the recipe and give it a try. You definitely won't regret it!